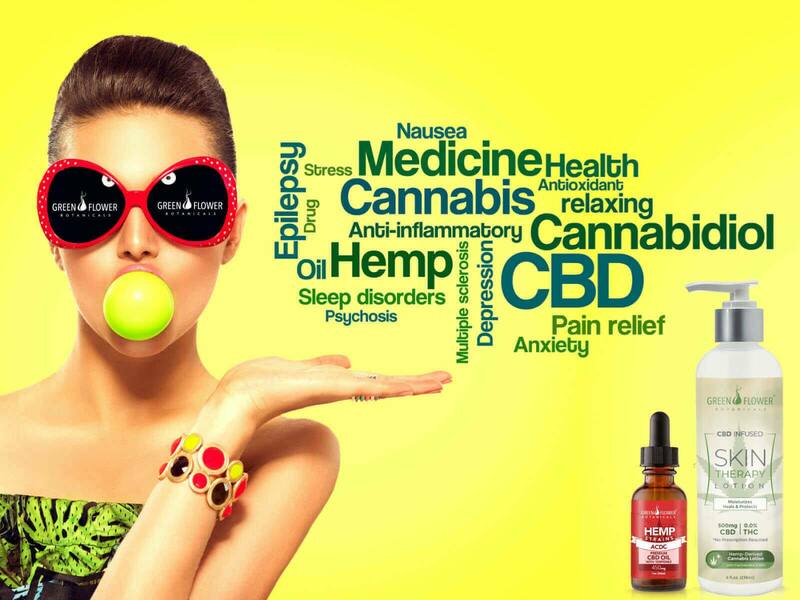 More and more people are turning to CBD products as a treatment for a variety of medical conditions ranging from anxiety, depression, skin conditions, sleep disorders, chronic pain and more. It wasn’t until my sister had a series of nonstop medical issues after her brain surgery (which leads to tons of medications) that we started to look for some safer alternatives for some the prescriptions she needed to take. Seeing the results, she got from CBD, I decided to try them myself, and boy am I a major fan! If you have not seen any of my previous articles on CBD oil, the bottom line, you will not get stoned, which is why I love it. THC is evil to me! But most companies who sell CBD products remove this evil demon, (as THC is illegal in most states) so there are no worries of getting stoned. Yes, CBD oil is legal as CBD is not marijuana. 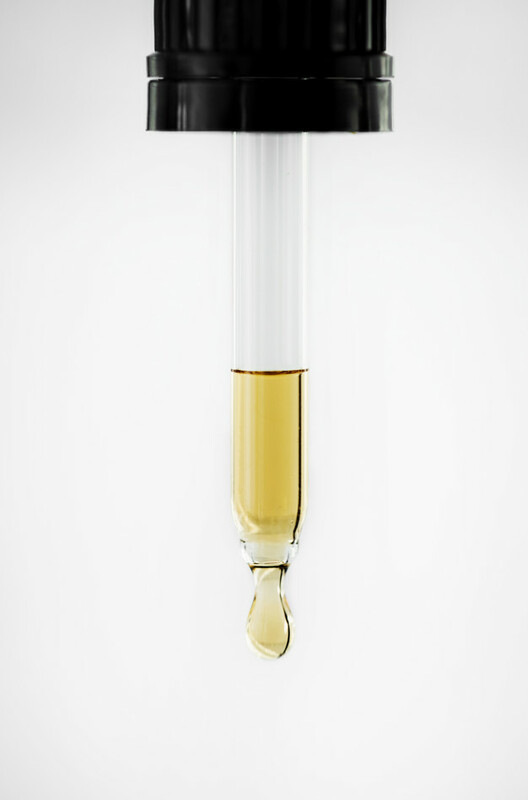 CBD is a cannabinoid that is extracted from cannabis. Like any other plant species, cannabis comes in a variety of shapes, sizes, colors, and flavors. One group of cannabis strains is called hemp. Hemp is also known as industrial hemp or agricultural hemp, and unlike the strains referred to as marijuana, hemp is used for building materials, textiles, and food. And there just happens to be strains of hemp that are high in CBD and have negligible amounts of THC. CBD-rich hemp IS DIFFERENT! Unlike THC, it has no psychoactive effect. Which means that CBD DOES NOT change a person's state of mind when they use it — hence allowing the consumer to enjoy the benefits of CBD without the risk of getting high, which is why it is 100% legal to purchase without a prescription in all 50 states. One of the brands that we have been using is Green Flower Botanicals, All Health - No High. Their CBD products are sought out not just for the benefits they bring to humans but also by people looking to help their beloved fur babies, like me, so CBD is also great for animals. 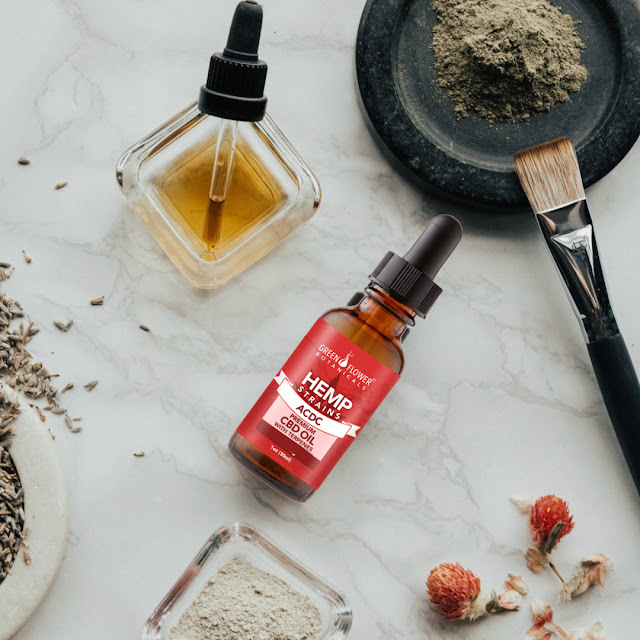 In addition to the many medical conditions that research has shown that CBD has the potential to help with, it is also great for skincare. And being the skincare lover that I am, you know I must implement it into my skincare routine. Now before I get into the benefits that CBD has for the skin. I wanted to talk a bit about the brand as not all companies are the same. So, do your research. From soil to oil, Green Flower Botanicals is committed to developing products that remain as close to their original form as possible. They start with using the highest quality hemp crops, that are rich in CBD. These cannabis plants are sustainably farmed at U.S. family farms and certified pesticide-free, which is essential when you are looking at putting these into your body. Next, it is important when you are looking at a brand that sells CBD to make sure that they run a triple lab test. This type of testing ensures that you are getting safe, pure CBD, that is certified pesticide-free and safe from any potentially dangerous metal content and THC, as who the heck wants that in their body or on their skin, NOT ME! 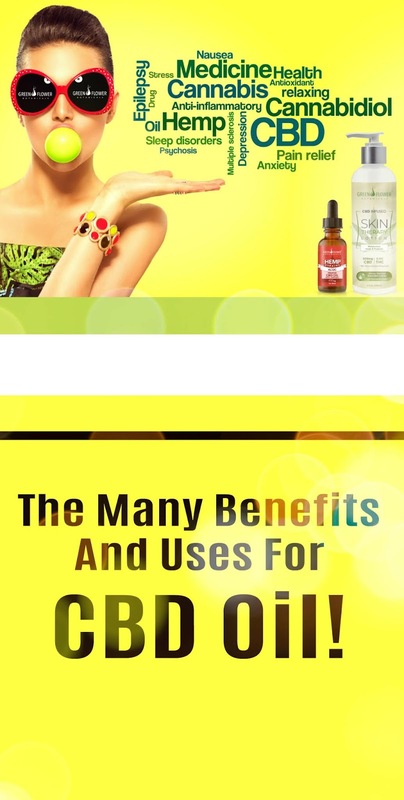 CBD has many wellness benefits, but it has some incredible benefits, when it is used topically, especially for the skin. CBD is proliferating in beauty products, and it’s poised to take your skin-care routine to the next level, especially in these chilly winter months. 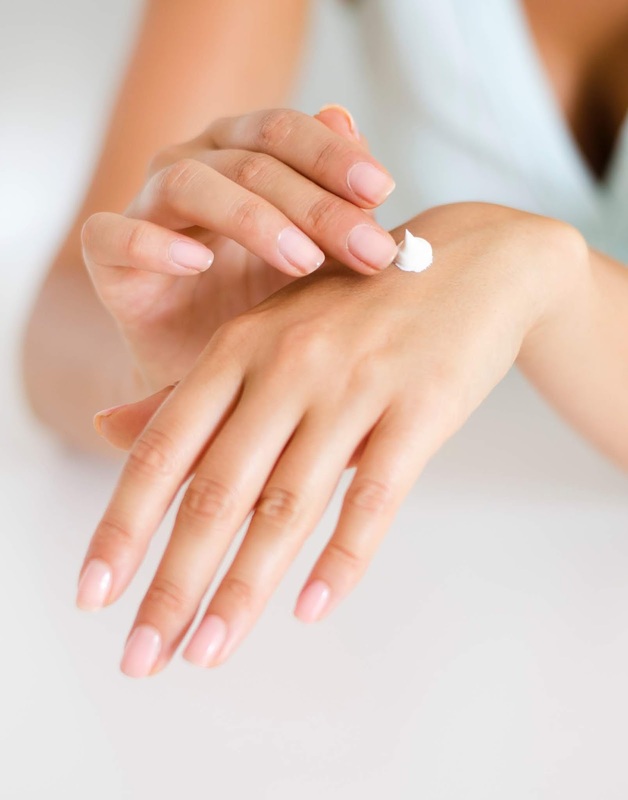 Due to the anti-inflammatory properties of cannabinoids, CBD products are great at helping with irritation that comes with inflamed, dry winter skin. Furthermore, CBD is high in Omega-3 fatty acids and being a woman in her 40’s I need this to help improve the skins cellular structure. 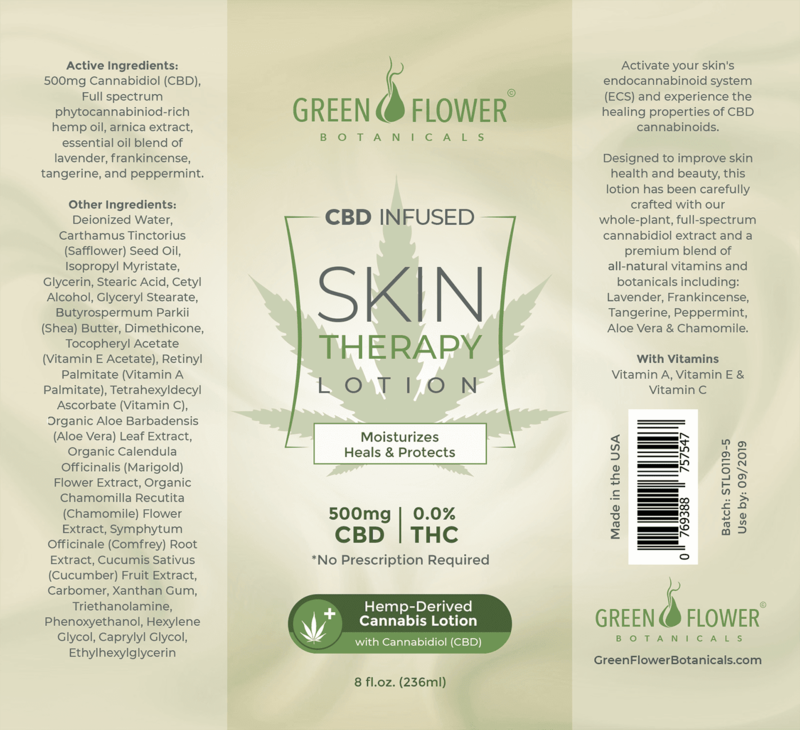 One product I have been using this winter is Green Flower Botanicals skin therapy lotion. This lotion is designed to improve the health and beauty of the skin. It is carefully crafted from the full spectrum cannabidiol extract and is a premium blend of all-natural vitamins and botanicals, including Frankincense, tangerine, lavender, chamomile, peppermint, and Aloe Vera. 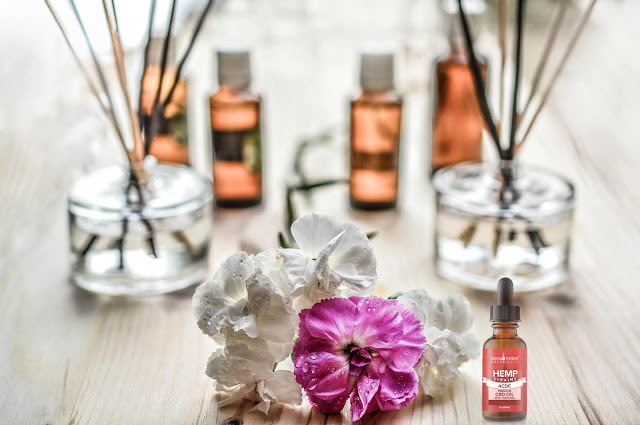 So not only does it smell wonderful it is also rich with skin nourishing vitamins such as vitamin A, C, and E, which are perfect for promoting the growth of healthy skin. Helping with not only dryness but also supporting the skin's elasticity and balancing out your skin tone. In addition to the lotion, I also tried their ACDC Strain. This whole-plant, full-spectrum extract has all the benefits of cannabidiol with the added boost of 9 very powerful terpenes (essential oils). 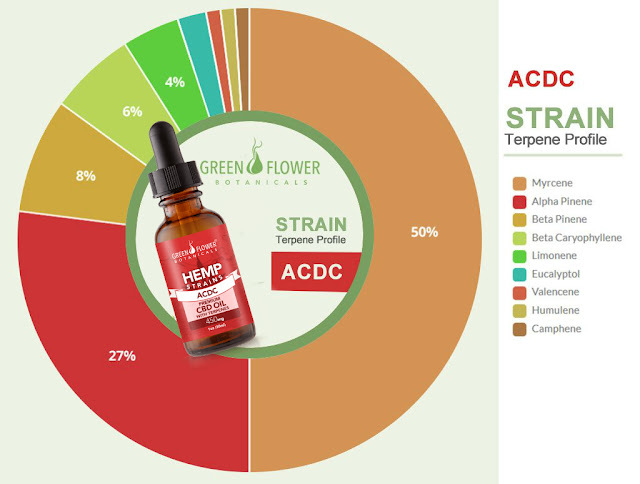 The ACDC strain is most famously known for its anti-inflammatory and analgesic properties. However, the benefits of this popular extract reach well beyond pain and inflammation. Terpenes also have an abundance of beneficial medical qualities. This company is excellent at supplying a detailed insert with your purchase, that outlines how to use this, so please read it. One thing I found beneficial is establishing a baseline dosage based on weight. Also, most people decide to try CBD because of a condition they want to treat. So, it is important to remember that your endocannabinoid system runs throughout the entire body at a sub-cellular level and is the response for maintaining homeostasis with the bodies systems. Therefore, because CBD is a whole body, multi-benefit compound, it can potentially help with various effects as I listed above. However, this article, I, nor this product or company are meant to make any medical claims in place of a qualified physician and their advice, so please consult with your doctor prior. Yes, a discount! Not only did I want to be able to share the many potential benefits of CBD, but I also want to give you a chance to try it yourself, which is why Green Flower Botanical was kind enough to offer all my readers a discount. Simply use the code BARBIESBEAUTYBITS at checkout to get your 20% Off Your First Order of Green Flower CBD Strains (Site-Wide). And if that wasn't good enough, they also have a 30 day try & see money-back guarantee! Lastly, if you have any questions or comments, please feel free to leave them below and don’t forget to share this post so others can benefit from the use of CBD. Until next time!